It’s not uncommon for people to move several times throughout the course of their life. We move to start a new job, raise a family and then to retire. With each move, you become that much more of an expert but there are always things you can do to reduce stress and make your next move go even smoother. 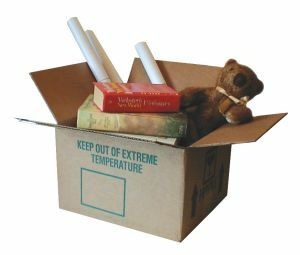 Aside from packing everything early so that you’re not scrambling a moving day you should also avoid bringing junk to your new home. That is easily taken care of with one call to Junk King Fort Lauderdale. In a way, Junk King Fort Lauderdale has been in the moving business ever since they started collecting junk. However, there “moves” are just one-way trips for your unwanted furniture, appliances, electronics, clothing and other household items. As you pack up all your stuff you in a find plenty of things that could be donated, recycled board simply trashed. Instead of adding to your workload, let Junk King Fort Lauderdale take care of the removal of all that unwanted clutter. Moving day is going to be hectic enough. You want to make sure that your movers have clear instructions. That’s why it helps to get rid of all those things you’re not taking with you first. You should schedule a session with Junk King Fort Lauderdale the day before the big move. The crew working for Junk King will happily worked their way around all your boxes to get to the stuff that you want to have tossed out. They can just as easily remove big pieces of furniture like sofas or recliners as your professional movers can. With all that stuff clear, you have a lot more room on your moving truck. Start life in your new home free of junk thanks to Junk King Fort Lauderdale. This entry was posted in Fort Lauderdale Junk Removal and tagged clutter, Junk King, new home, rubbish on October 22, 2017 by Junk King. Last updated October 22, 2017 .